Our facility has been purpose built with your car’s safety in mind. 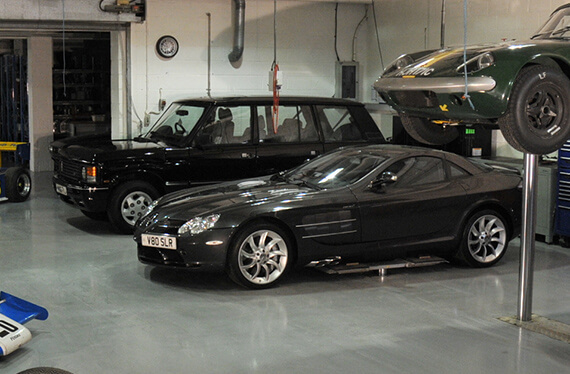 We ensure that we have the highest security standards in place to look after all your vehicles as best we can. • Monitored CCTV & speakerphone systems throughout all buildings. • Electronic Steel Shutters on all doors & windows. • Large Steel electronic gates enclosing the site with accompanying palisade fences. Cars that are in storage with us must have their own insurance and all clients need to notify their insurer that it’s in our storage facility. But don’t worry! We are able to help arrange and obtain insurance quotes for your cars that will potentially go into storage within our facility. Any vehicles that we handle (e.g. driving, maintenance, restoration, repairs etc…) are all insured for up to £1million worth of damage.